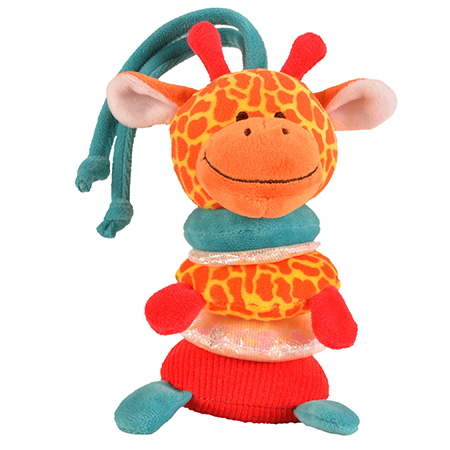 The Buzzybody is a vibrant toy that really caught the eye of the babies who tested it. The most popular feature was the buzzing sound which elicited a lot of smiles and giggles! It was easy to hold and the different textures really appealed to the testers, providing sensory stimulation and fostering curiosity as babies wanted to explore the toy. This also promotes concentration skills, as it gives baby something interesting to focus on. Reaching for and pulling on the toy develops hand-eye coordination and hand strength, while also helping babies learn cause and effect (if I pull this it shakes!). This contributes to babys improving memory; as they remember how to play with the toy.